This guide will help walk you through the process of contributing your first contribution to Colosseum. Go to the Colosseum repository on GitHub, and fork the repository into your own Github account. This will run around 2300 tests - most of which are currently marked as “expected failures”. This means that we have the test, but we know that they’re failing at the moment, for reasons that we understand – usually, that we just haven’t implemented the section of the CSS specification that the test is exercising. You shouldn’t ever get any FAIL or ERROR test results. We run our full test suite before merging every patch. If that process discovers any problems, we don’t merge the patch. If you do find a test error or failure, either there’s something odd in your test environment, or you’ve found an edge case that we haven’t seen before - either way, let us know! Now you are ready to start hacking on Colosseum. Have fun! Having run the test suite, you now know which tests are currently expected failures. Your task is to take one of these tests, and make whatever modifications are necessary to get that test into a passing state, without breaking any other tests. The bulk of Colosseum’s test suite is automatically generated based on the W3C’s Web Platform Tests. This is the canonical test suite for W3C standard compliance. Unfortunately, this test suite is very browser centric, and isn’t an automated test suite. It relies on a human loading a series of web pages, and comparing each page against a reference rendering. This is necessary in a web context, because browsers are allowed to have minor variations in rendering. However, it’s a problem for Colosseum, for two reasons: firstly, because we want a fully automated test suite; but also because we’re not targetting a web browser, so “load this web page” isn’t a test we can use. The output of this process is two documents - a data file, and a reference file. The data file contains a JSON-formatted version of the DOM elements in the test, with their style declarations. The reference file contains the same DOM structure - but instead of recording the style, it records the size, position, borders, padding and margin of each element in the DOM. The test suite takes the data file, reconstructs the DOM nodes in Colosseum, and apply the test styles to those nodes. It then lays out the document, and evaluates if the size and position of each DOM node in the document matches that in the reference rendering. Effectively, what we’re doing is checking that given the same inputs, Colosseum will produce the same output as the web view - except that we don’t ever have to draw anything on a screen. We’re checking the layout at a basic mathematical level. Of course, this assumes that the web view that was used to render the document is, itself, correct. 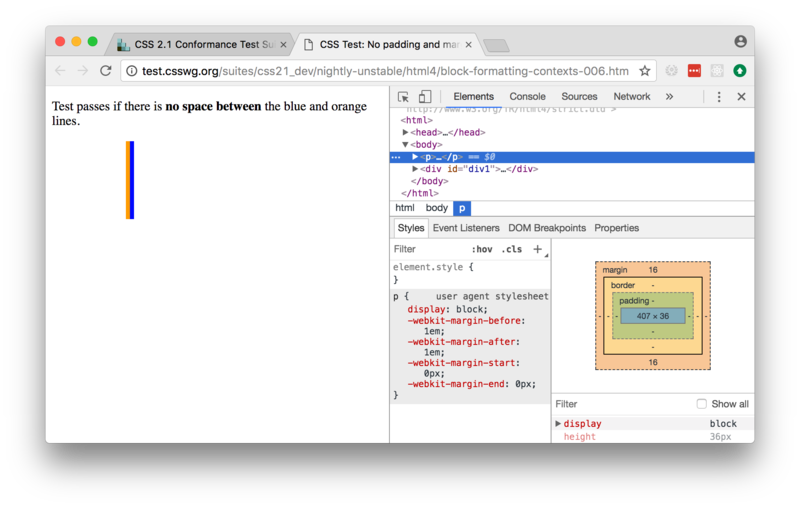 The test suite was generated on a Mac using a Safari 11 Webkit webview, so the CSS2 components should be fully compliant; however, some CSS3 tests (especially in the flexbox and grid modules) may be incorrect. All the tests are located under the tests directory. Each test directory contains a not_implemented file. This is a list of tests that are currently known to fail - because the logic necessary to make the test pass isn’t implemented. Pick one of these tests, and delete it from the not_implemented file. 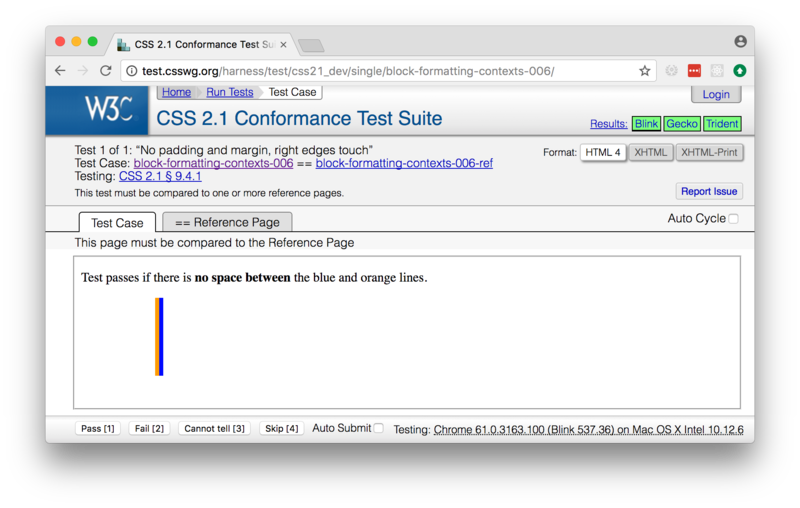 For the purposes of this example, we’re going to pick the block-formatting-contexts-006 test in ``web_platform/CSS2/normal_flow/test_block_formatting_contexts``(this test is no longer available, as it has already been fixed). When there is no padding or margins on elements the right outer edge of the child box will touch the right edge of the containing block. This description comes from the W3C test suite - it might point you in the right direction, or it might not. This will tell you the line of code where the test failed. However, as our test is automatically generated, this won’t really tell you much, other than the fact that the test generation code is all in tests/utils.py. This is a comparison between what was generated by Colosseum, and what was expected. In this example, the two documents are almost identical, except for the padding box of one element. Colosseum has determined that the padding box is 96 pixels wide (the line indicated with the >> marker); the reference rendering says it should be 91 pixels wide. Ok! So we now have a failing test. What do we do about it? Since the test suite is automatically generated, and there are over 2000 tests, we can’t be 100% certain that the test itself is correct. So - we need to confirm whether the test itself is valid. Using this view, confirm that the test acutally passes. In this case, the page tells us to compare to the reference page; you can flick between the “Test Case” tab and the “Reference Page” tab and confirm that the output is as expected. Many of the tests in the test suite use a special font, called “Ahem”. Ahem is a font that has a limited character set, but known (and simple) geometries for each character - for example, the M glyph (used to establish the size of the “em” unit) is a solid black square. This helps make test results repeatable. You’ll need to install this font before confirming the output of any test that uses it. 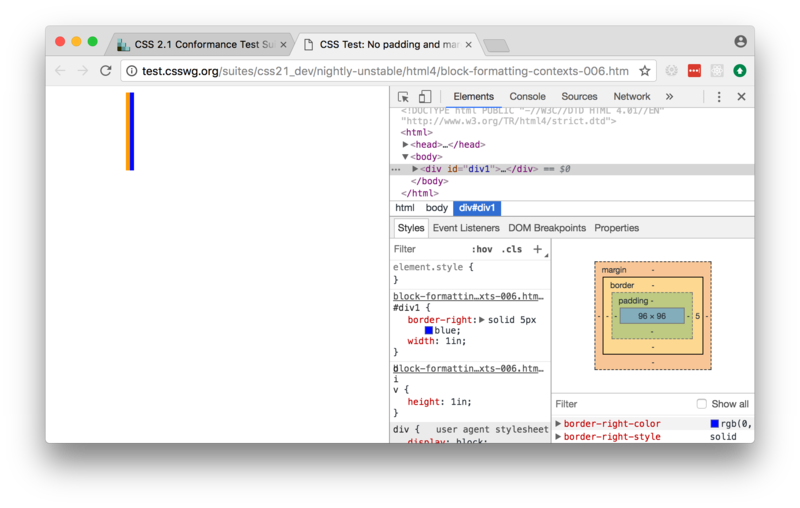 The reference rendering won’t always be pixel perfect, so you’ll need to check any text on the page to see whether the test is passing in the browser. And you’re done! You’ve just told the test suite that yes, the test will fail, but because the Webkit test result isn’t correct. Most of the tests in the CSS test suite should pass. 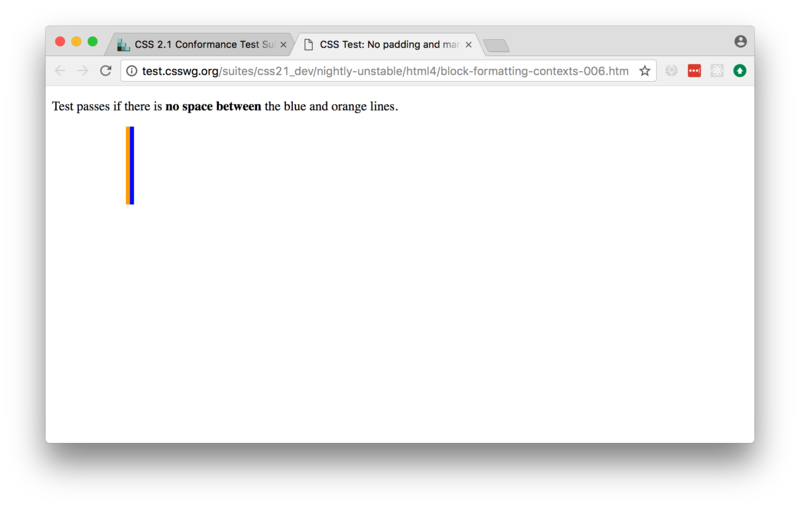 If you think you’ve found a failure in a CSS2 test, you should try and confirm with others before you submit your patch. You may find the W3C’s test results helpful - these are results reported by other users. If you find an invalid or non-compliant test, submit a pull request for the change moving the line out of the not_implemented file, and you’re done! That pull request should detail why you believe the test in invalid, so that the person reviewing your pull request understands your reasoning. You can now pick another test, and work on your second pull request! However, if the test passes, the next step is to try and fix it. If you’re a newcomer to Colosseum, and the test you’ve chosen involves rendering text, displaying an image, or testing the color of an element (other than where color is used purely to make an element visible), you might want pick another test to work on. The easiest tests to work on will involve the positioning of boxes on a page, without any images or text. Sometimes, the test instruction is the test - for example, the test might read “This text should not be red”. If this is the case, you shouldn’t delete the instructional text. You only delete the instructional text if it is purely instructional - if it doesn’t actually participate in the layout being tested. Once you’ve deleted - for example, in the screenshot, you can see that the <div> element that is the child of the <body> should have a content size of 96x96, and a right border of 5 pixels. We can compare this to the output produced when we ran our test, and see that yes - during the test, the border box was 101x96, the inner content was 96x96, but both the border box and the inner content of that element had an origin of 8x8. This means the right border extended 5 pixels past the content. We can now start digging into the code to see if we can identify why the margin box hasn’t received the correct size. At this point, you’re in bug country! 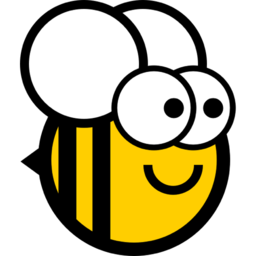 Every bug will have a slightly slightly different cause, and it’s your job to find out what is going on. The entry point for rendering is the layout() method in colosseum/engine.py. This method calls layout_box() recursively on the document being rendered. The code in colosseum/engine.py is extensively documented with references to the CSS specification - especially the CSS2.2 Specification, the Flexible Box Layout Module, and the Grid Layout Module. Any changes you make should be include equally verbose documentation, and cross references to any paragraphs in the specification. style, storing the CSS style declaration that applies to the node. These values may be expressed in any units allowed by CSS (including pixels, points, em, percent, and more). The sub-attributes of the style attribute match those of the CSS specification (e.g., width, margin_top, z_index, and so on). layout, storing the computed values for the layout of the TestNode. These values are always in integer pixels. The layout describes the position of a content box (defined by content_top, content_right, content_bottom and content_left), relative to the content box of it’s parent (with an offset defined by offset_top and offset_left). Surrounding the content box is a padding box, surrounded by a border box, surrounded by a margin box. These are also given in pixels, relative to the content box of the parent element. children, a list of TestNodes that are descendents of this node. A leaf node in the DOM tree is a node with an empty children list. Set up and copy over initial layout values by computing the style values. Make an adjustments for relative positioning. Dig into the code, and work out why Colosseum is giving the wrong result. The test suite will pass without any errors. In this case, you’ve fixed exactly one bug. Submit a pull request with your fix, and try another one! The test suite will report one or more FAIL or ERROR results. In this case, you’ve fixed one bug, but broken existing behavior in the process. This means there’s something subtle wrong with your fix. Go back to the code, and see if you can find a way to make your chosen test pass without breaking other tests. The test suite will report one or more UNEXPECTED PASS results. This is good news - it means that the fix you’ve made has indirectly fixed one more more other tests! Quickly verify that those tests are valid (using the same process that you used to verify the test you deliberately fixed), and if they’re valid tests, remove them from the not_implemented file. Submit a pull request with your fix, and try another one! Since the reference test data is automatically extracted from a running browser, and browsers don’t provide a great API for extracting rendering data, it’s entirely possible that the reference test data that the test is using might be incorrect. If you look at the test suite output, and it doesn’t match what you see in a browser, open a ticket describing what you’ve found. This may indicate a bug in the reference rendering; which will require a fix to the script that generates the test data. © Copyright 2013, Russell Keith-Magee Revision 5bab9626.